Georgia Tech’s Center for Education Integrating Science, Mathematics and Computing (CEISMC, pronounced “seismic”) is in its 26th year of working to improve PreK-12 education. We are perhaps best viewed as a partnership uniting Georgia Tech and many other educational groups, schools, corporations and opinion leaders in one common goal: to see that PreK-12 students in Georgia and beyond receive the best possible preparation in science, mathematics, engineering and computing as they seek their place in the modern world. CEISMC partners include corporate CEOs and employees from a variety of industries; educational and political leaders; academic professionals in the state's major universities; and hundreds of school administrators and teachers. One of CEISMC’s missions is to facilitate interactions and partnerships between members of the Georgia Tech community and the PreK-12 community. 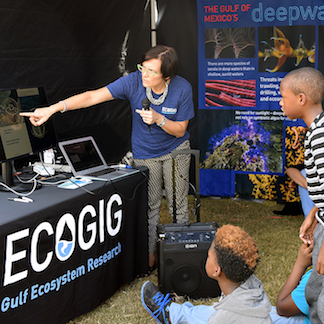 We coordinate numerous programs that lend themselves to participation by faculty and students, and we encourage faculty to consult with us as they develop plans for educational outreach and broader impacts. CEISMC can assist faculty in crafting educational initiatives that are tailored to their individual research and outreach interests and that are sensitive to limited time availability. We can also assist with developing sensible evaluation and educational research plans. Below is a list of some of CEISMC’s current programs and on-campus collaborations, and how faculty can participate. Research Experiences for Teachers: The Georgia Intern-Fellowships for Teachers (GIFT) program places approximately 60-80 science, math, engineering and social studies teachers per summer in 4-7-week industry or laboratory research experiences to provide them with a greater understanding of the use of science and mathematics in the real world. Many of these teachers spend their summer participating in research internships at Georgia Tech and Emory. Some GIFT teachers are also hired to assist faculty in developing K-12 educational materials, to develop summer camps, or to mentor high school students conducting summer research. What CEISMC provides: CEISMC recruits the teachers, sends appropriate teacher applications to the faculty, provides support for the teachers through the use of program facilitators and small-group meetings, and encourages teachers to translate their GIFT experience into classroom activities. How faculty can participate: The participating faculty member provides the $728/week teacher stipend plus $1,500 program fee (which can be written into grants, can be requested as supplemental funds to existing grants, or is sometimes provided by a Georgia Tech research center or department,) writes a job description for the research position, interviews and hires the teacher, and serves as a mentor to the teacher. Often teachers are assigned on a day-to-day basis to the graduate students and post-docs in the lab. Research Internships for High School Students: CEISMC brings teams of high school students, primarily from local minority schools, to campus to work on a summer research project, directly supervised by a GIFT teacher. These students are encouraged to submit their work to the Siemens Competition and local science fair. Host laboratories are needed. For more about GIFT or high school research student internships, contact Bonnie Harris at bonnie.harris@ceismc.gatech.edu or visit the website at http://www.ceismc.gatech.edu/gift. 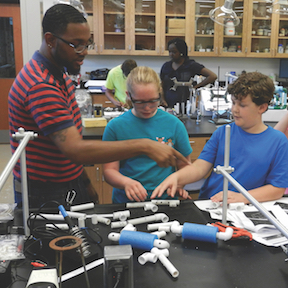 Science and Engineering Enrichment Programs for K-12 students: CEISMC sponsors summer and after-school enrichment programs for K-12 students of all ages. Many of these programs also have a teacher professional development component where teachers learn new science and engineering activities and content material to take back to their classrooms. While at Georgia Tech, students can participate in lab tours and view science and engineering demonstrations on campus. How faculty can participate: The CEISMC enrichment programs can serve as a vehicle for faculty or departments to pilot K-12 material that they have developed or identified in their field of discipline. Faculty can also assist with the training of the teachers on their materials or volunteer to host a lab tour for student groups. This is a great opportunity to turn kids on to your field. 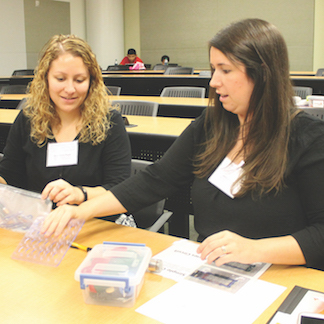 Teacher Professional Development Experiences: CEISMC hosts Saturday workshops, 1-day academies, and summer professional development workshops for teachers. These different formats can accommodate varying amounts of faculty participation, from faculty providing a 1-hour talk on cutting-edge research, to CEISMC staff and a faculty member collaborating to raise funds and produce a 1-week course for teachers. If you would like to communicate your research or field of study to teachers, let us know, and we’ll find a forum for you. Collaboration on Major Educational Grants: Granting agencies such as NSF and NIH have many funding opportunities for educational projects. There is often an emphasis on developing partnerships between faculty and teachers or schools. CEISMC is always receptive to forming collaborations that include Georgia Tech faculty and Georgia schools and/or other educational entities. How faculty can participate: If you see a funding opportunity that interests you, but that requires connections with schools, K-12 students, etc., contact CEISMC. We will either collaborate directly with you or put you in contact with the necessary school system personnel. Outreach Through Science and Engineering Competitions for K-12 Students: There are a number of national science and engineering competitions for K-12 students that encourage university participation. CEISMC can help coordinate events and recruit teams of students, particularly from schools with large minority populations. For example, the Georgia FIRST LEGO League robotics competition for students aged 9-14, is a result of a collaboration between the School of Electrical and Computer Engineering and CEISMC. 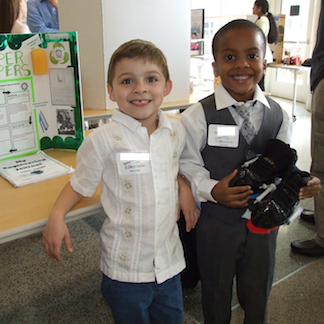 The InVenture Challenge, a K-12 invention, and entrepreneurship program modeled after Georgia Tech’s InVenture Prize is a collaboration between CEISMC and the School of Mechanical Engineering. Please contact us if you would like to participate in one of these, or start something new. Initiatives to Increase Science and Engineering Representation by Women and Minorities: Part of CEISMC’s mission is to increase participation by underrepresented groups in science and engineering. We work directly with school systems and schools as well as with groups on campus to further this goal. For instance, the GoSTEM project focuses on the academic achievement of Hispanic students in Georgia. Many of CEISMC’s programs focus on the education of African-American students, as well as low-income, and rural students. Volunteers and mentors are very welcome. Educational research or evaluation: CEISMC research and evaluation staff can assist faculty with designing simple evaluation plans for their educational initiatives, or can collaborate with faculty on larger research studies to analyze the effect of interventions on things like student outcomes. If you are interested in educational research and evaluation, contact Dr. Meltem Alemdar.